Chassis Chatter… The No. 88 ThorSport Racing team will unload chassis No. 48 for Friday night’s Lucas Oil 150 at Phoenix International Raceway (PIR). This is the same chassis Matt Crafton took to victory lane in Dover earlier this season. Phoenix Profile… Among active NCWTS drivers, Crafton is tied for the most starts (15), and the most top-five finishes (5), has the most top-10 finishes (10), has completed the most laps (2212), and has the most lead lap finishes (13). Back To Where It All Began… Although the central California town of Tulare, is more than 500 miles from PIR, the ThorSport Racing driver calls the one-mile oval a “hometown” race. Crafton, who got his start in the Featherlite Southwest Tour, a highly competitive regional series, made 12 starts at PIR between 1997 and 2006, and his success at the Avondale, Ariz. track included two poles (2000, 2001), a win (2006), and three top-five finishes. 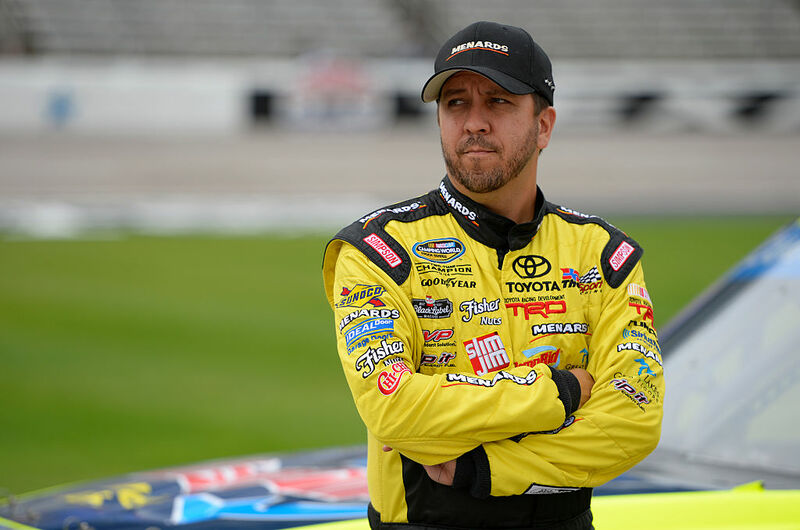 Crafton’s four-year tenure in the series produced a championship title in 2000, and opened the door to his career in NASCAR, racing for Duke and Rhonda Thorson at ThorSport Racing in 2001. Phoenix Rewind – 2015…The ThorSport Racing driver started fourth, led the field three times for 15 laps, and finished 23rd due to a late-race incident on lap 130 of 150. The Chase is On… Crafton, a two-time NCWTS champion, is one of six drivers to make it into Round 2 of the inaugural Chase, and is currently ranked fourth in the 2016 Chase standings. Friday nights 200-lap event at PIR is the third of three races in Round 2. Following Phoenix, the top-four drivers will advance to Round 3, which kicks off at Homestead-Miami Speedway, the final race of the season. In The Loop – 2016… According to NASCAR’s Loop Data statistics, Crafton ranks first in the following categories; Fastest Laps Run (250), Laps in the Top-15 (2753), and Fastest Drivers Late in a Run. Crafton ranks second in Average Running Position (8.33), Driver Rating (99.4), Fastest Drivers Early in a Run, and Laps Led (440). Race Rewind – Texas… Making his 32nd career start at Texas Motor Speedway in the NCWTS, Crafton started seventh, led the field once for 15 laps, and finished second.